We are raising consciousness about the problems, but not enough consciences among those with power to make a difference are being roused into doing what is necessary.. These reports are vivid reminders of the bravery and resourcefulness possessed by these early travellers. What a joy it must have been to hear their stories at first hand. I applaud your bravery and commend your honesty. I have always tried to speak up for those unable to do so for themselves – it is necessary, but not easy and one becomes the target of a lot of mud and arrows. Now in my eighties, I am less vociferous, but I still use my pen to useful effect if and when necessary. It’s the day before the end of week 5 of this contractand a nearly 12 day stretch. This hospital has revealed more disturbing things to me in this last stretch than I’ve seen in years. I hate conflict. A lot. I’ve learned many things over the span of my 33 years of nursing. I’ve learned to choose my battles wisely. I’ve learned to discern the difference between being upset because people are rude from being upset because people are just plain unsafe. I don’t run willy nilly to managers with every complaint under the sun because every complaint under the sun isn’t necessarily helpful. These disclosures are horrific and too reminiscent of the extremes embarked upon by the Nazis in their ‘Final Solution’, which included the systematic extermination of all who did not fit into their classification and categorisation of what constituted human perfection. 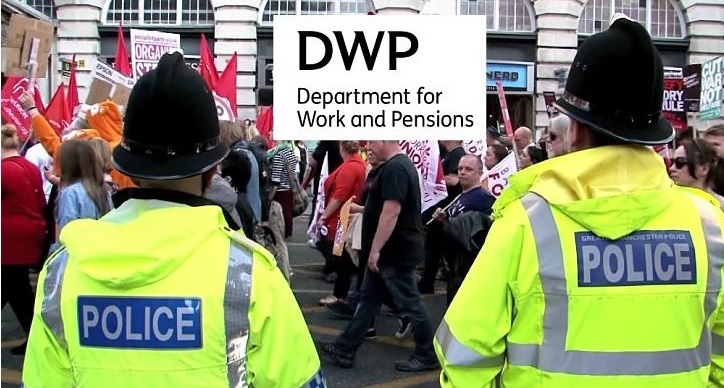 Greater Manchester Police (GMP) has admitted having a pact with the Department for Work and Pensions (DWP), according to Disability News Service (DNS). This “sharing agreement” sees the force hand over details on protestors to the government department. Disabled activists are calling for a public inquiry into the scandal. Because, although GMP isn’t the first force to confirm such collaboration, it is the one which polices the Conservative Party conference. 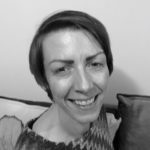 In December 2018, Lancashire Police confirmed it “had passed on information” about disabled protestors to the DWP. The disclosure followed the release of a video by the Network for Police Monitoring (Netpol). It revealed police were sharing footage of disabled anti-fracking protesters with the department. In any legal action, the only winners are the legal eagles; the barristers and the judiciary. Honest men and women become canon-fodder; victims of the legal system and just another batch of statistics. I have become more sceptical with age and realised a long time ago that the battle against the Establishment is an impossibility, but while young and vigorous, it’s a very worthwhile game to play even if one emerges at the end like Don Quixote tilting at windmills. I’ve played my games and enjoyed pitting my wits against some of the jumped-up twats in power, but now life has to be a little more circumspect, although my pen is always ready for action. The government has promised to extend legal aid support to anyone with parental responsibility for a child who wants to challenge applications for placement or adoption orders. The government will also extend eligibility for non‑means tested legal aid for parents or anyone with parental responsibility who would like to oppose applications for placement orders or adoption orders in public family law proceedings. The Ministry of Justice will bring these policies in line with care and other orders classified under “Special Children Act 1989 cases”. Special Children Act cases include care orders, supervision orders, child assessment orders and emergency protection orders. The Ministry of Justice will also bring forward proposals to provide a less draconian merits test, which will be equivalent to the merits test currently applicable in “Special Children Act 1989 cases”. The attention to the minutest detail, makes these entries irresistible. 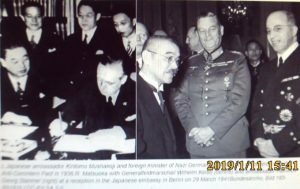 The Japanese and German Alliance / What once was…. A great history lesson made very readable by an astute amateur historian who always manages to unearth a worthwhile snippet missed by everyone else. Thank you for sharing. Alliances during a war can change the outcome, but the alliance between Japan and Germany is one that baffles many people. Most people can understand why Japan went to war with America, but why did the Imperial nation join forces with Nazi Germany? To understand the Tripartite Pact which created the Axis Powers, a look further back in history is needed. Both Germany and Imperial Japan arrived on the international stage in the mid-1800s. Japan was forced out of isolation and started rapid westernization in 1854. Germany had been a number of city-states before Prussia won the Franco-Prussian war and united all of them in 1871.